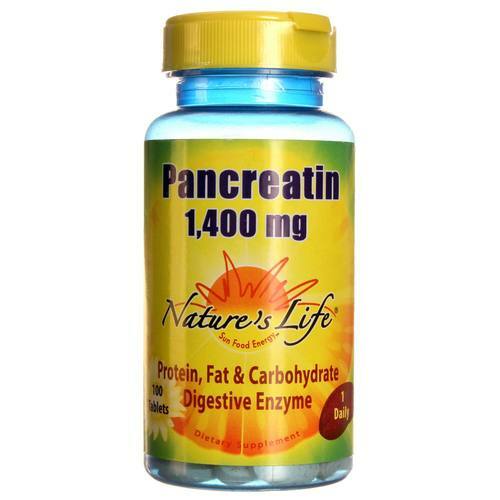 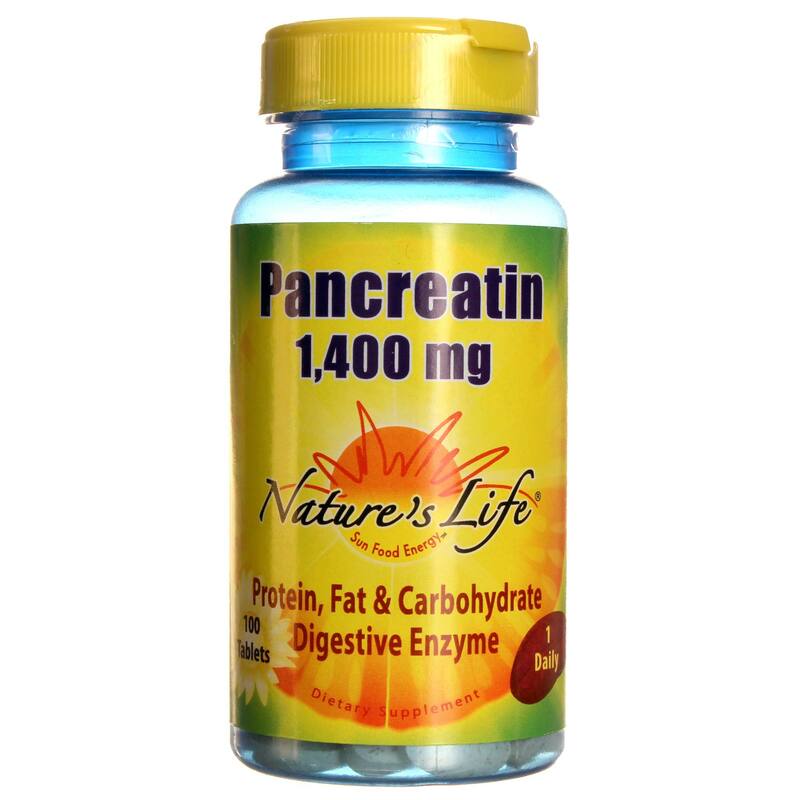 Nature's Life's Pancreatin 1,400 mg contains all three groups of pancreatic enzymes. 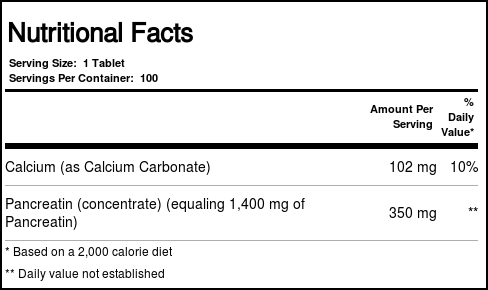 Advertências: Keep out of reach of children. 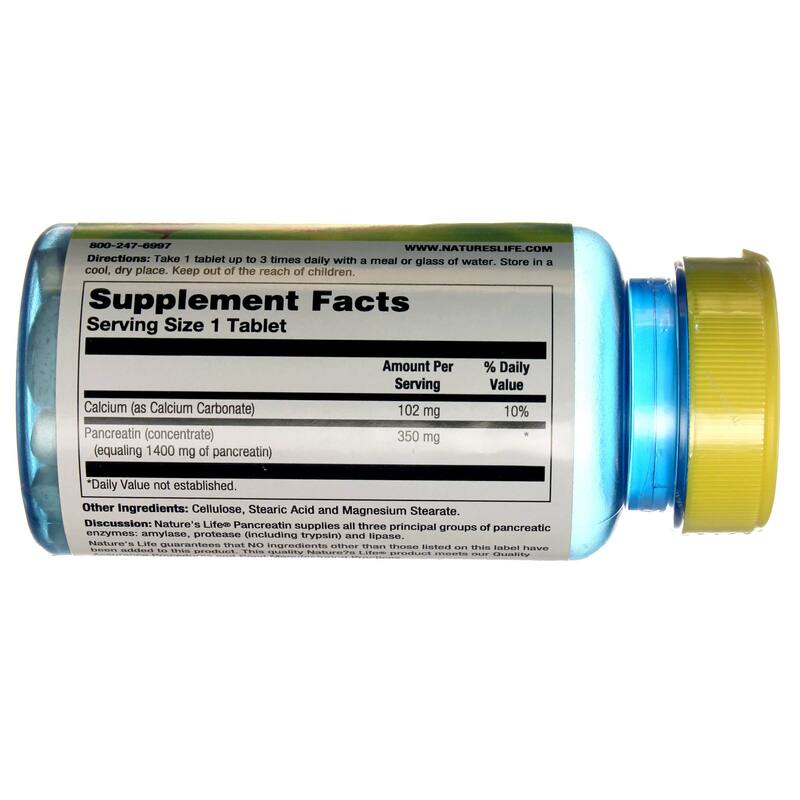 Keep your licensed health care practitioner informed when using this product. 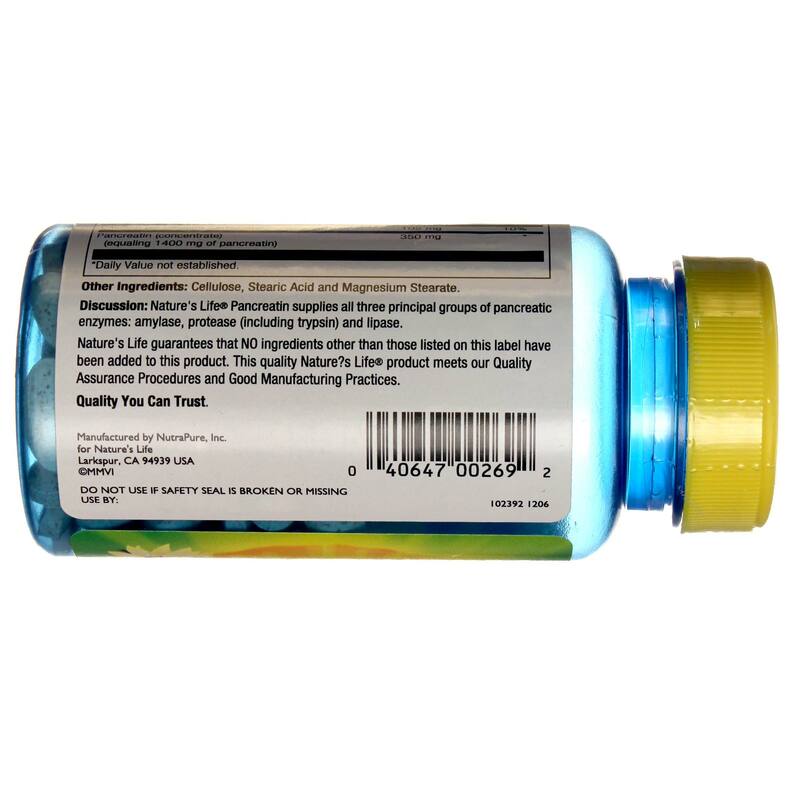 Notas: No ingredients other than those listed on this label have been added to this product.